Sure it’s half the distance, but it’s just as fun! The Markel Richmond Half Marathon takes everything we love about the full, and packs it into 13.1 miles. Along the course you’ll see beloved Richmond locations such as the downtown area, Virginia Commonwealth University, Northside, Bryan Park, Bellevue, Brown’s Island, and more! During the race you’ll be treated to the highest level of course support with a wet washcloth stop, junk food station, and our famous pickle juice stop. Neighborhood parties, community spirit groups, and enthusiastic crowds will keep you motivated and entertained as you make your way to our downhill finish! Celebrate your victory with all types of cool swag, Sierra Nevada beer, pizza, and a riverfront view. What are you waiting for?! Richmond is calling! With street art and river views, historic architecture and beautiful parks, the half marathon course treats runners to a unique and unforgettable tour of RVA that ends with a grand finale finish line and post-race party on the riverfront! Medical attention: Available along the course. All participants must be able to finish the half marathon in 4 hours. In order to do so, you will need to maintain a 18:19 per mile pace or you will be asked to move to the sidewalk to enable the reopening of the streets to vehicular traffic. At that time, there will no longer be traffic protection, medical aid, or water stops offered. Overall awards are determined by clock time; age group awards by chip time. Cash awards go to the top five overall finishers, male and female. Additional awards will be presented to the top five in all age groups in all races. Age groups for the half marathon are are: 19 & under, 20-24, 25-29, 30-34, 35-39, 40-44, 45-49, 50-54, 55-59, 60-64, 65-69 and 70-74 and 75 & up. Due to the size of the race, the Markel Richmond Half Marathon utilizes wave starts. Participants start in equal size waves with others of the same general speed based on the predicted time indicated on their entry forms. Note: Start Waves and race start times are subject to change. 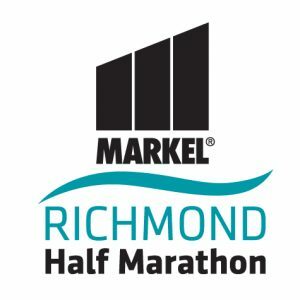 The age minimum to register for the Markel Richmond Half Marathon is 12 years of age on or before race day. PLEASE NOTE: If you deferred your race entry from 2018 to 2019 and would now like to switch distances, you must email [email protected] or call 804-285-9495 x250 in order to process the switch. If you need to change information other than what is listed above, please e-mail [email protected].